An Angle is a right angle if and only if it has a measure of 90 degrees. 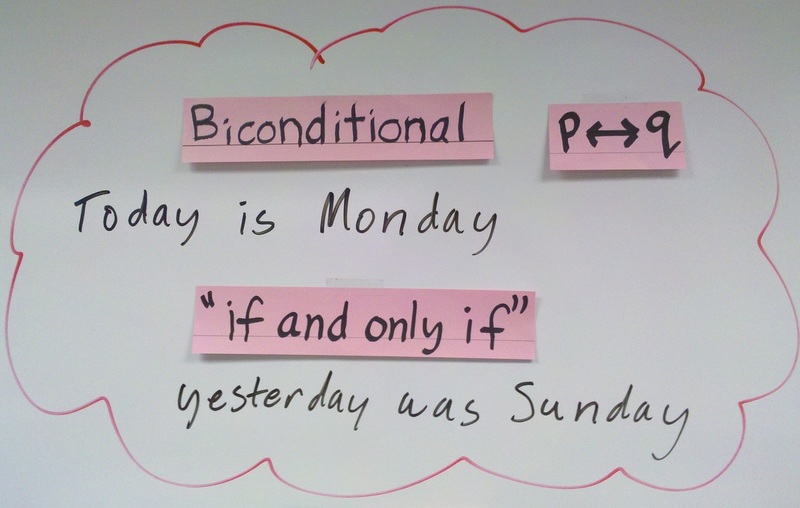 What is a BiConditional statement? What makes a definition good? Step2: Watch the videos on Biconditonals and good definitions. Make sure you have notes on the following! Take a Lesson 2-2 Biconditional Quiz online.